Your loved ones can suffer from common cold, flu, or pneumonia, to name a few. With these diseases, it gets more difficult to breathe. Therefore, quality of life is also affected. Respiratory diseases are quite common. At Spring Gate Rehabilitation and Healthcare Center our staff plays a crucial role in improving our residents breathing. 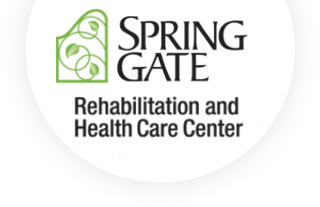 At Spring Gate Rehabilitation and Healthcare Center we are always available to answer your questions or advise you about your loved ones care plan. Feel free to contact us at any time.